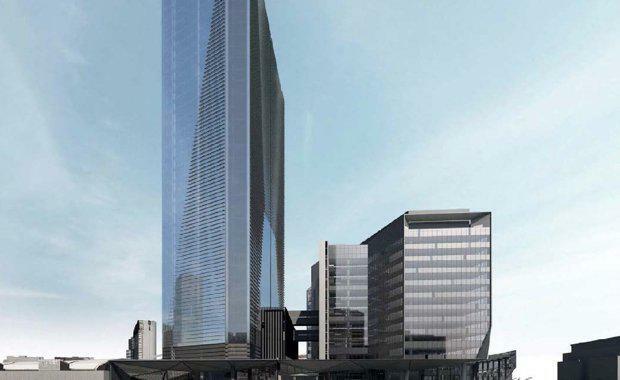 The police centre, proposed by super fund developer Cbus Property, would rise 39-storeys, about 156 metres, next to a smaller city police station also developed by Cbus Property on the former Australia Post site, according to The Australian Financial Review. Despite Cbus’ proposal exceeding a plot ratio set in place to limit the density of development on city sites, Melbourne’s Mayor is determined to see the development go ahead under new rules that allow developers to exceed the ratio if their project includes a public benefit, an initiative used in other cities around the world. Lord mayor Robert Doyle said Cbus’ plans were a fitting example of why the rules that apply to residential developments don't work for commercial developments. “The public benefit this building offers is indisputable and I'm pleased our officers have found that it more than meets the criteria for the 'floor area uplift' benefit mechanism. "Designed to accommodate both Victorian and Federal Police units, the site will provide a connection to the City West Police Complex and create a unique opportunity for Victoria Police to co-locate and consolidate their Melbourne CBD operations into one stand-alone precinct. The features of the site combined with landscaping, urban design interventions, built form initiatives and invisible technologies will provide Victoria Police with a secure facility that remains integrated into the wider streetscape. The site is within close proximity to Southern Cross Station and provides excellent access and egress to arterial road networks. The centre will include 2,500 frontline police and investigators in transit and public safety, road policing, family violence, state emergencies and security, crime, counter terrorism and intelligence and covert support command. Neighbourhood Watch will be offered space at the centre. According to the AFR, council found the proposal exceeds the public test benefit, calculating the value of the extra floor space requested by the new police HQ at $9.4 million and the tower overall is $166.9 million.